The film industry has established a running habit of milking every cent out of its intellectual property by making sequels to hits and gritty reboots to disappointments. 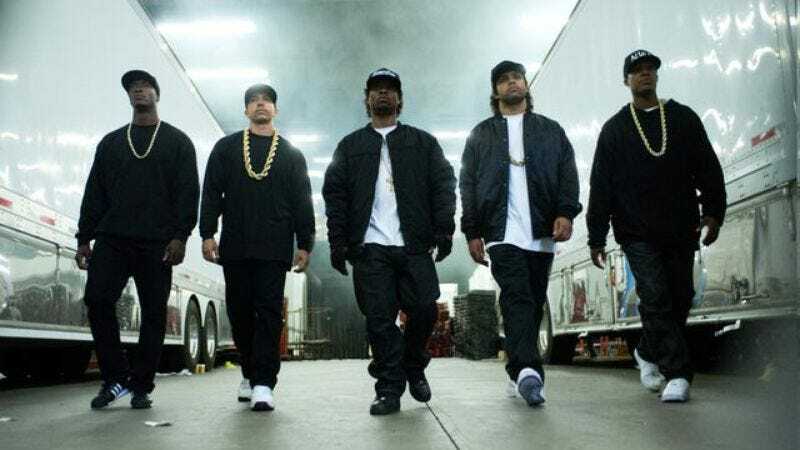 Awards fodder and biopics have generally been immune from this cycle, but that could change after the surprise smash success of the N.W.A. biopic Straight Outta Compton. Deadline reports that Greg Mack, the radio DJ and early N.W.A. ally portrayed in Compton in a cameo by director F. Gary Gray, has optioned the rights to his forthcoming autobiography. Mack was a DJ and music director at L.A. radio station KDAY starting in 1983 and helped lead the station’s move to an all-rap format. He recruited a young Dr. Dre and Ice Cube to join his street team on the hunt for new music, and gave N.W.A. their first radio airplay. He played a similar role in the early careers of a number of ’90s rap legends, including M.C. Hammer, LL Cool J, Big Daddy Kane, Tone Loc, and Queen Latifah. Mack is now the owner of several radio stations in Washington state and California. His autobiography, set for release at the end of the year, was optioned by Goddard Film Group, whose portfolio of existing properties suggests that F. Gary Gray is probably not sitting by the phone waiting for the call to direct. Goddard’s slate includes such deep-in-the-Netflix-submenus fare as the Google-resistant supposed TV show Stunt Monkeys, about a group of extreme teens battling “lizard-skinned evildoers” for control of an ancient book of spells; the animated feature Jump!, based on a conveniently public-domain Mark Twain story; and something called the Snugglebumms, apparently designed for the sole purpose of disappointing the Care Bear-loving kids of frugal parents on Christmas morning (in addition to a passing resemblance to the Care Bears, Snugglebumms’ hearts light up). No cast details are yet known, though we assume that if the film does move forward, it will do so with actors that are the Snugglebumms to Compton’s Care Bears.